CIMRM Supplement - "Temple of Mithra", Verjuy, nr. Maragheh, Iran. 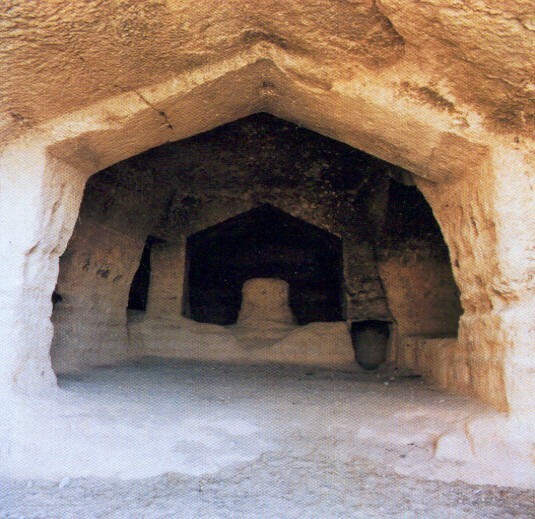 Various non-scholarly publications refer to a cave at Verjuy, near Maragheh in Iran, as "Mithraic". 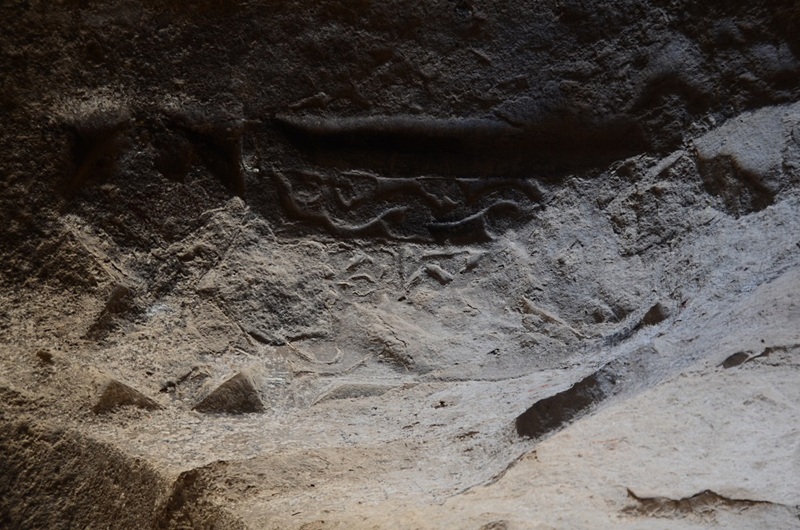 There is no evidence of any Mithraic connection, however. 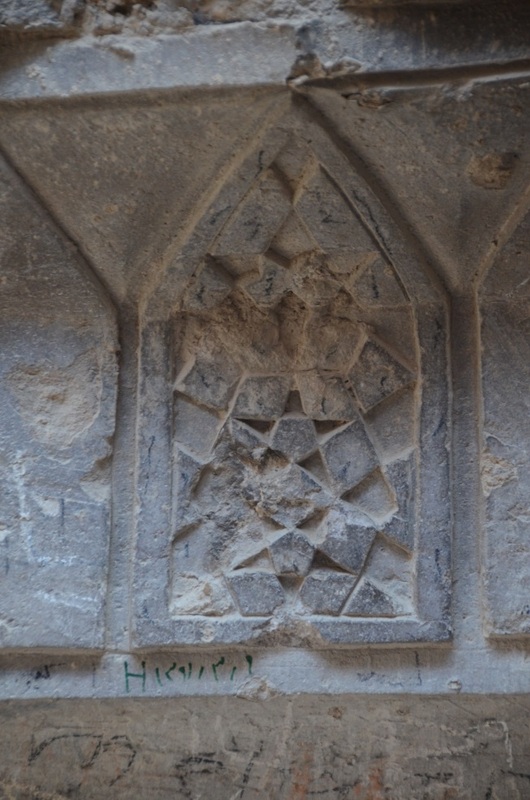 Abstract:Maragheh is one of Iran's most ancient cities having its roots in legends. In the past, its suburbs were used to build temples belonging to the religion of Mithraism. 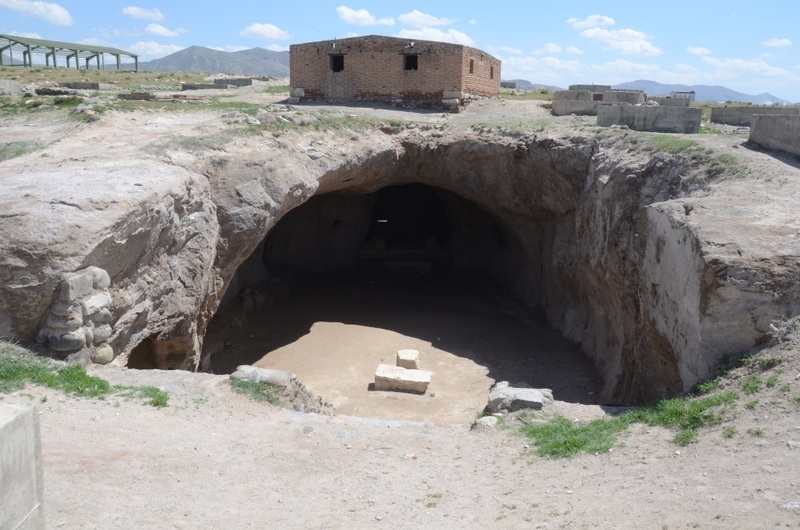 One of the temples is located 4 kilometers south of Maragheh in Verjuy village. 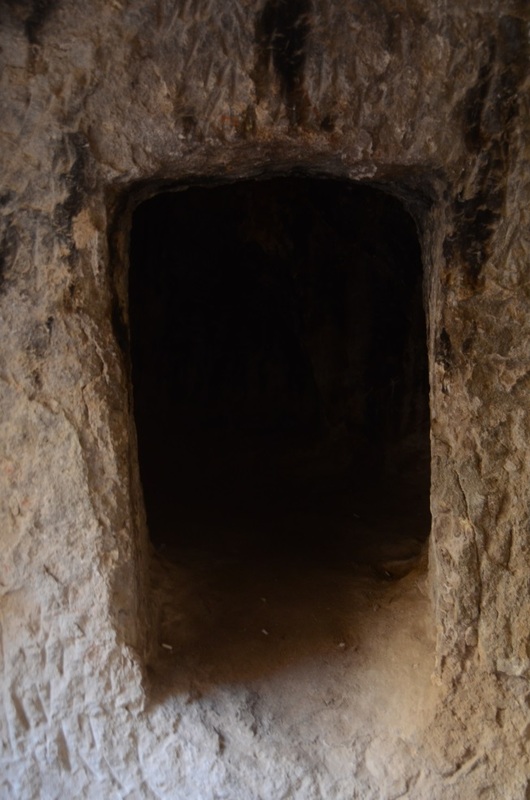 There were no signs indicating the location of the temple in the village or even at the entrance of the cemetery. 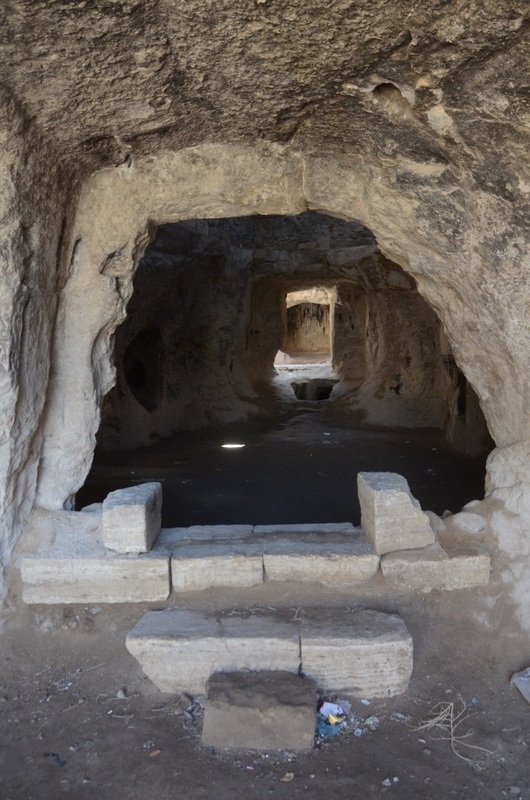 Among other main Mithraism temples in Maragheh, we can refer to hand made caves of the observatory hill. "The historical site of Mehr temple and the shrine of Molla Masoum are located in the south of the historical cemetery of Verjuy village. Before the arrival of Islam, it was a place for worshiping the sun and a place for performing ceremonies by the followers of Mithraism. 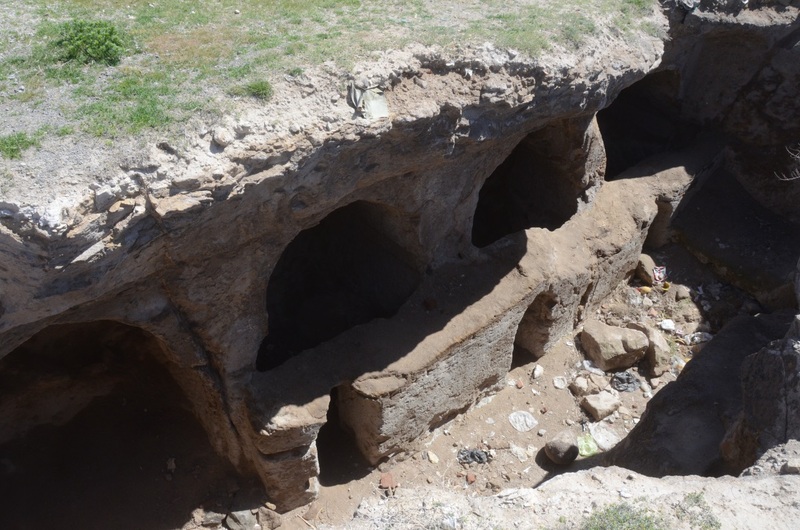 The building was probably built during the reign of Arsacid or possibly early Sassanid dynasties. After the arrival of Islam, it was used as a mosque and the shrine of Molla Masoum, a well-known intellectual in the 13th century." Observations. In the outskirts of Maragha lies the site of the Mihri Temple, also known as the Imamzada Ma'sum. This site is far less known than the last, although it is just as mysterious, and therefore deserves more attention. The site has three accessible areas: a main space surrounded by four domed chambers (nos. 2, 4, 5, 6, 7); a four-domed hall with a full-size pillar at its centre (no. 3); and a set of three long chambers some 100 metres away. (37) Parviz Varjavand, "The Imamzadeh Ma'sum Varjovi near Maragheh", East and West 25/3-4 (1975), p.435-8 ...; Warwick Ball, "The Imamzadeh Ma'sum at Vardjovi. A rock-cut Ilkhanid Complex near Maragheh", Archaologische Mitteilungen aus Iran 12 (1979), p. 329-40. Function and dating. 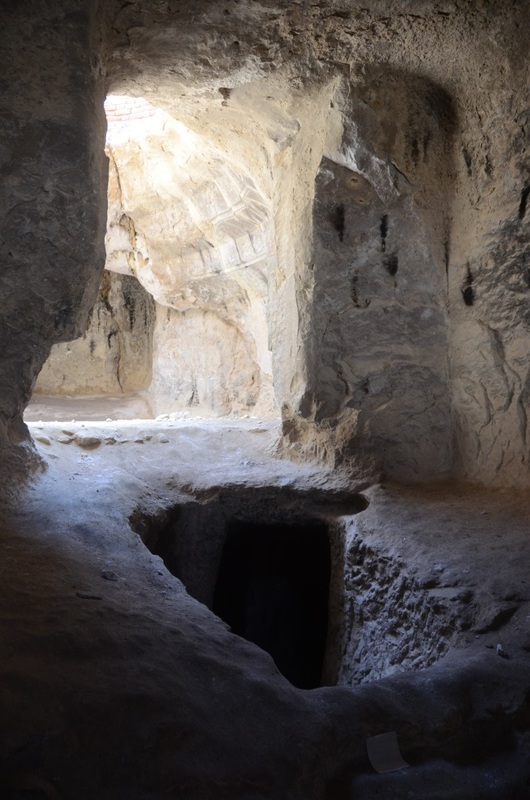 The rectangular stone blocks in chambers a and b were identified as altars, and hence the chambers as sanctuaries. To Ball they looked like the Buddhist circumambulatory pillar-caves of Afghanistan and Central Asia, and to Bowman and Thompson like the Jacobite style of dual sanctuaries. 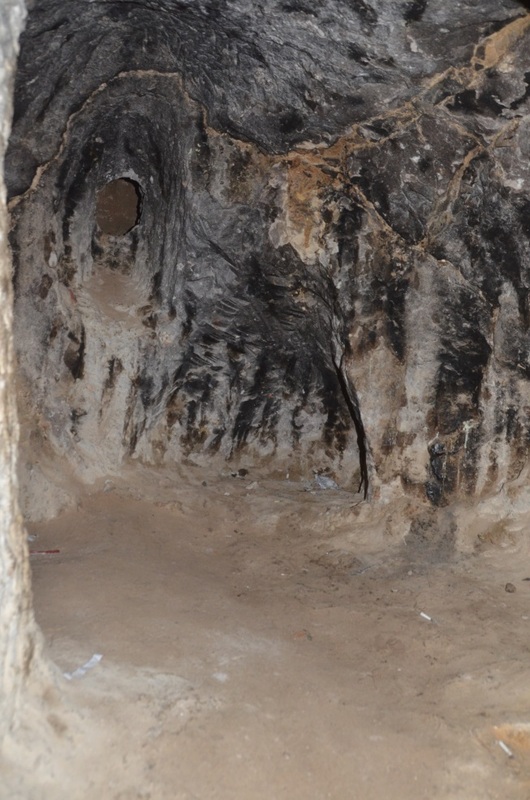 I would also note a resemblance to the Sasanian fire altars of Balkh. Ker Porter wrote: "These secluded places [i.e. 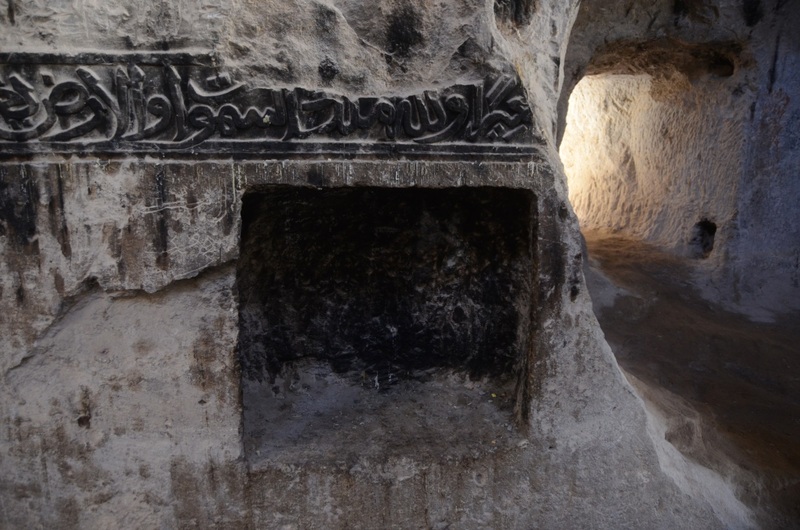 the caves] we are told, were not merely the habitations of Zoroaster himself and his Magi, but were used as temples. 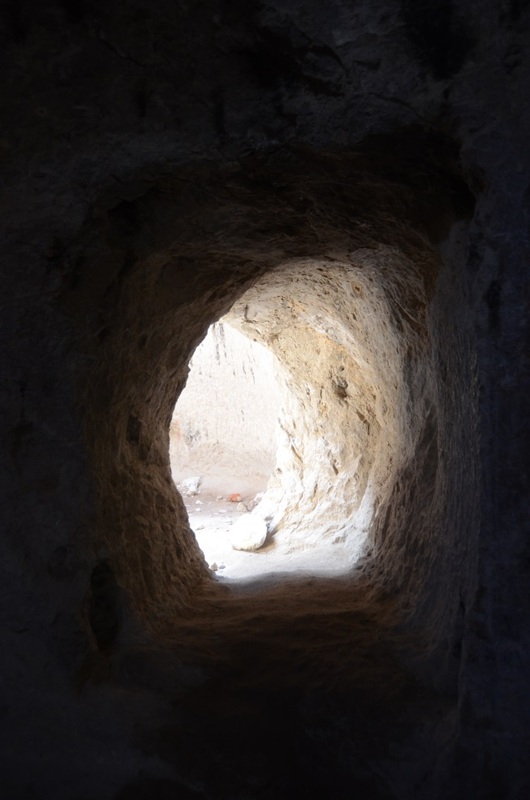 "(27) In the cave temples of the Mithraists (or Mithraea), altars of such dimensions can also be found. (28) An ancient Mithraic use is likely given the similarities with Roman Mithraic temples, but it is the Ilkhanid period that is of greater interest to us. (27) Porter, Travels in Georgia, Persia, Armenia, vol. 2, p.496. (28) See Varjavand, Kawish-i Rasadkhana-yi Maragha, p.279-83. On the history and belief system of Mithraism which developed with the conquest of Persia by Alexander the Great in 331 BCE, see Franz Cumont, Les mysteres de Mithra, Brussels (1913) and Taufiq Wahby, The remnants of Mithraism in Hatra and Iraqi Kurdistan and its traces in Yazidism, London (1962). I also discuss this material in a post elsewhere2. These were kindly taken and sent in in April 2014 by Jona Lendering of Livius.org. A stone structure where, from its architectural as well as its decorative elements, it can be inferred that it is related to Parthian empire and Mitraism ideology. 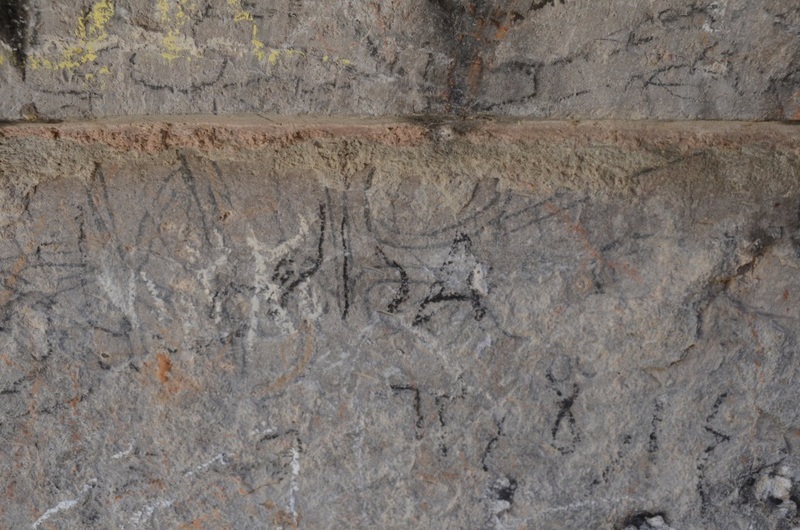 This is a place where Mehr worshipers did their praying. They believed in four elements of water, earth, fire and air. Their shrines are inspired by the sky and have a dome. They also had different parts such as an altar, washing room, waiting room and a main hall. 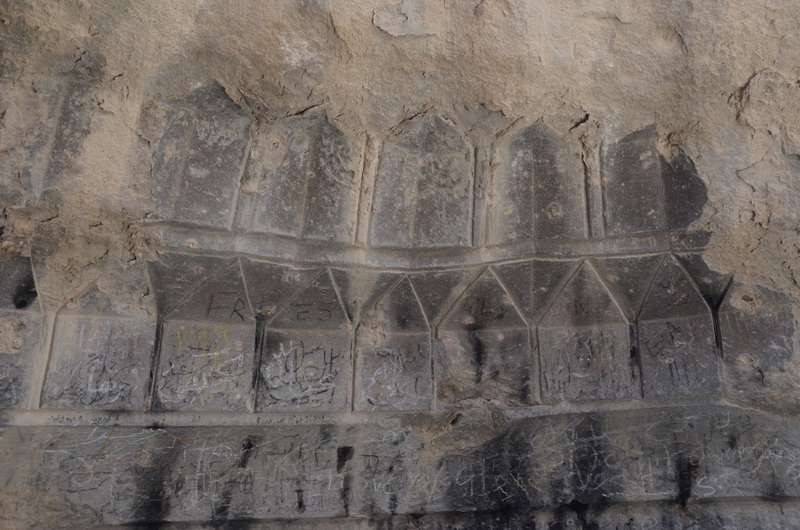 In the Ilkhanid period, the shrine was turned into a convent. 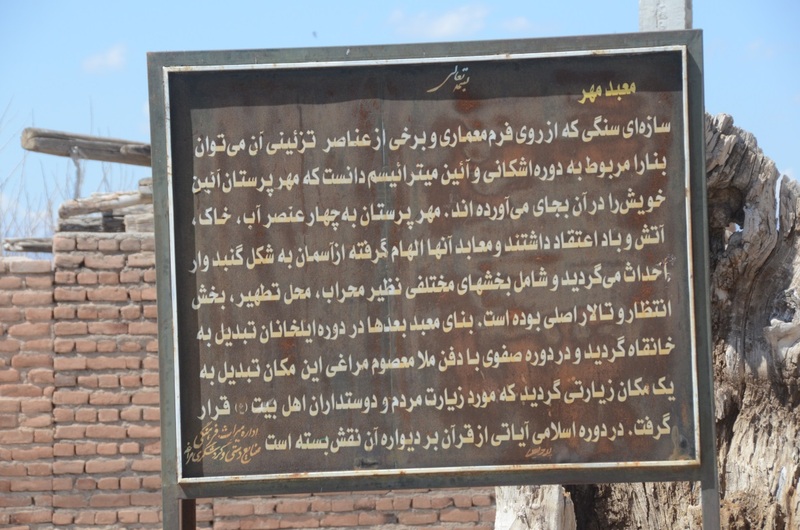 In the Safavid period, after burial of Mollah Masoum Maraghi, it became a place of pilgrimage which has been visited by many pilgrims and lovers of the family and descendants of Mohammed.3 Some Quranic verses were engraved on the walls in the Islamic period. 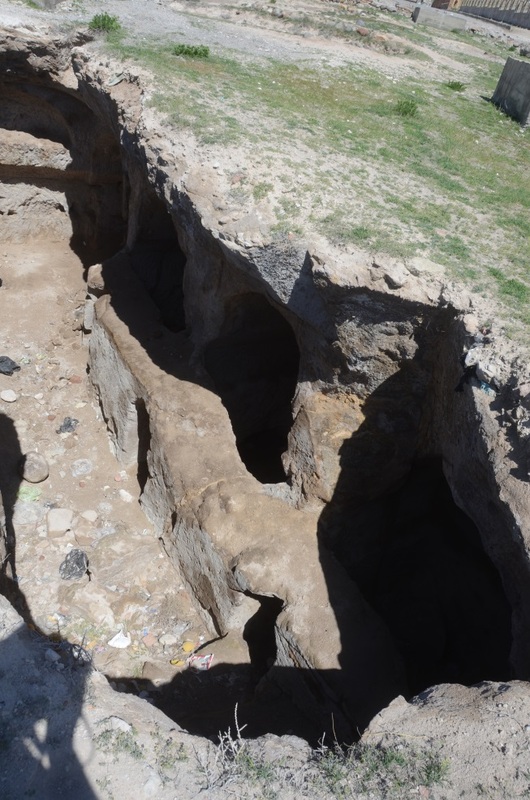 1 Arezou Azad, Three rock-cut cave sites in Iran and their Ilkhanid Buddhist aspects reconsidered, in: Anna Akasoy and others, Islam and Tibet: Interactions Along the Musk Routes, Ashgate, 2001, p.209-230. There is a Google Books preview here. 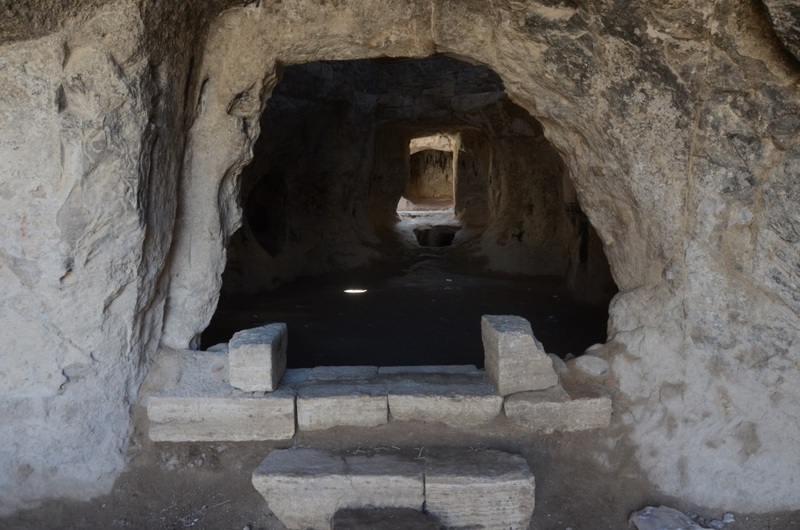 2 Roger Pearse, "A Mithraeum in Iran? - The 'Verjuy Mithra Temple'", April 14, 2012. here. 3 This refers to the Shi'ite idea of Mohammed, Ali, and the 12 imams.